A major initiative for Upper Deck is to find ways to give back to the local community during the holidays. 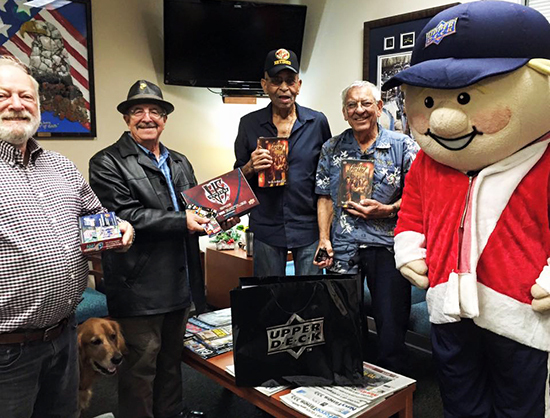 Recently members of Upper Deck stopped by and visited a few Veteran Centers across San Diego County. A car full of trading card product and games to donate to the local charities! There is a huge military community in San Diego and we wanted to find a way to thank many of the veterans in the area for their service. Coach Cardman visiting with Veterans at the San Marcos Veteran Facility. Upper Deck donated hundreds of boxes of trading card product and games to these worthy organizations and brought Coach Cardman along to help bring smiles to the faces of those we met. We spent time visiting with veterans at the San Marcos Veteran Center and met with Rick Ochocki, the Development Director at the Veterans Village of San Diego. 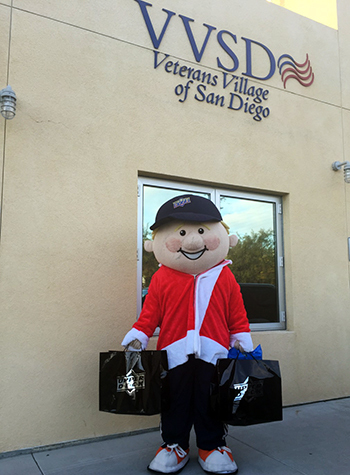 Coach Cardman outside of the Veterans Village of San Diego. 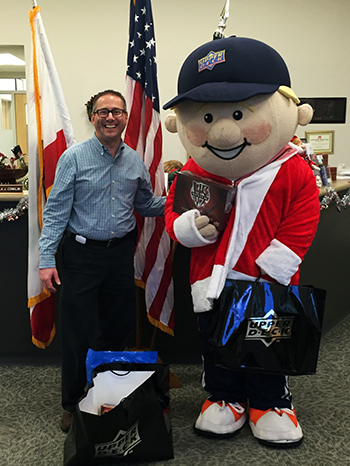 Rick Ochocki, the Development Director at the Veterans Village of San Diego, accepting the generous donations from Upper Deck. The giving back to the community didn’t stop there. Upper Deck also stopped by Rady Children’s Hospital to donate over 100 toys to the children that were at the facilities during the holidays. 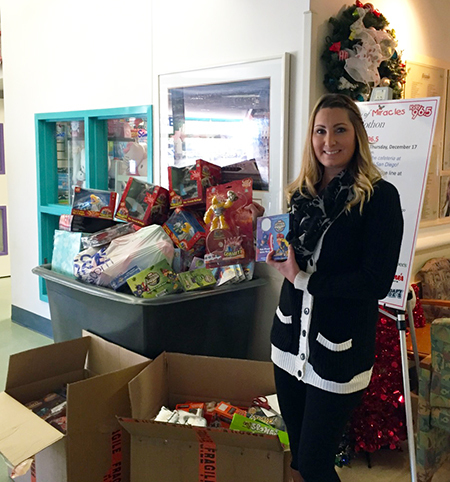 An Upper Deck team member drops off toys to Rady Children’s Hospital. 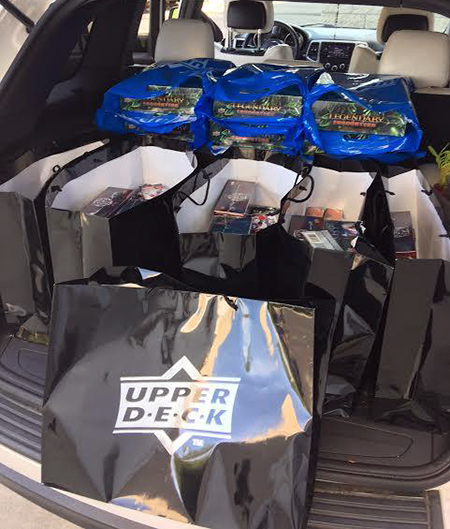 Upper Deck is always looking for fun and exciting ways to give back to the community. Look for more stories of Upper Deck giving back in 2016!